When you write a book, there will be social expectations and taboos in your characters’ world that inform their attitudes, actions and ideas. In Regency Romances, for example, the characters must behave according to a strict set of rules that are very different from our contemporary world. Once you’ve read a handful of Regencies, you understand the rules. However, if you set your story in an unusual place, time or world, the reader won’t immediately know the rules - so you, the writer, need to tell the reader what they are (without seeming like you are telling the reader). Here are a few different ways to introduce your story’s “world” to your readers. Information Dump: Don’t do this! 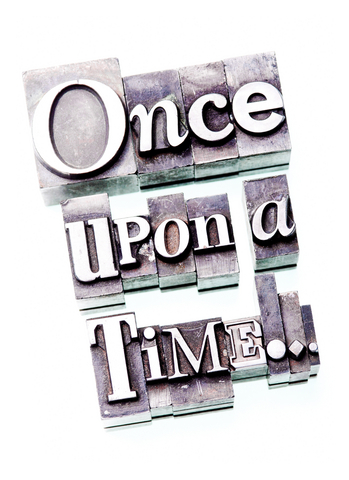 There is nothing quite as boring as the author going on and on about what’s happened before the story starts. There is no action. There is no conflict or tension. It is just background blah-ness. Thankfully, I don't have an example of this. Prologue with Narrative: In this case, there is a prologue where the world parameters are explained in a scene. Cherry Adair uses this in her book Black Magic. In her prologue, one character educates the other about the mythologies of their world. The risk is that it may feel like an info dump, which can make your readers' eyes glaze over before they even get to Chapter One. Don’t structure this type of scene around a dialogue where one character explains or reminds the other character of what they should already know if they exist in that world. Make sure there is action and tension. Also, keep the information restricted to what will be important for the story at that time - the reader doesn’t need all the information all at once. And, unless it is critical to the plot and character development, the reader doesn't need to know all the little intricate details you dreamed up when you built your world. Lastly, the scene needs to introduce current information too, not just the past or the mythology. However, be aware that although some readers will read every word you give them, many skip over the prologue - so, the world needs to make sense even if the reader starts at Chapter One. Short Explanation in lieu of Prologue: In this case, a short description of the world is provided. Jayne Castle uses this approach in her future paranormal books, such as Ghost Hunter. In “A Note from Jayne,” which is essentially a one-page letter to the reader, she explains the basic premise of the world. The specific details aren’t described – after all, there has to be something for the reader to discover within the novel. The drawback of this method is that the reader meets the author before they meet the characters. Introduce the Reader to the World as the Character is Introduced to It: This is a handy technique, but only works when the world is new to one of the characters. Take a vampire novel: both the reader and the character will have some previous knowledge of what or who vampires are, however each author has their own spin, their own lore. Do the vampires sparkle in sunlight or disintegrate? Does silver burn them or kill them? Do crosses make these vampires cringe or do they attend church regularly? The character will make assumptions, their assumptions will be confirmed or refuted, and, through this, the character discovers the truth about the world they’ve fallen into. The reader learns as the character learns. An example of this is Jeaniene Frost’s Eternal Kiss of Darkness. Jump in and Expect the Reader to Catch Up: If the world is a variation of a mythology your reader already understands, it is simple for readers to pick up the differences. In this case, the characters exist and function in their world right at page one. The reader can usually catch up quickly. (Readers are smart.) Blood Magic by Jennifer Lyon is structured this way. Provide Information If/When the Reader Needs It: Similar to the last example, Chapter One starts with the characters living their lives in their world. There is no “explanation” prologue. There is no information dump. However, if the world is complex or the lingo is specific to this world, the reader may need a little help, which could be provided in the form of a glossary. This technique is also used where one character says phrases in another language. The reader can often determine the meaning based on the context. However, some readers will want to know (and would get annoyed by having to search for definitions on the internet), and will find a glossary helpful. Glossaries are often found at the end of the novel. This approach can also help with world building. J.R. Ward provides a “Glossary of Terms and Proper Nouns” at the beginning of her Black Dagger Brotherhood novels, such as Lover Awakened (*Have I mentioned that I love Zsadist*). If the reader wanted, they could read the glossary first (like a prologue, albeit a dull one) and understand the nuances of the world before they start reading the story, or they could just refer to it if or when they need. Do you have another approach or technique?